The Pecorellas have seen the whole modern history of Bloor-Yorkville. Back when Yorkville was a hippie neighbourhood, Paul Pecorella moved to Canada from Sicily. 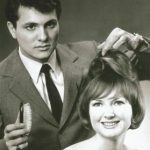 He started working at Gus Caruso’s famous salon, right across from the University of Toronto Varsity Stadium on Bloor Street. Around that time, he met his now-wife Barbara, and they later went into business together at their first location on 112 Cumberland Street. 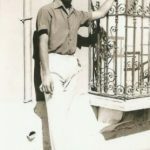 The young couple would go to the coffee shops at night, where there would always be singers playing folk songs at the numerous open-air patios. Paul tells me that during the day, the hippies used to hang out the windows and chat with the people walking by. In those times, Paul remembers things being more relaxed. No-one was open on Sundays back then—in fact, before 1985 it was illegal for businesses to be open on Sundays. 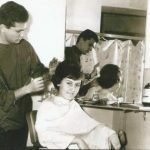 There was less competition too, and having started cutting hair in Italy at 15 years old, Paul was easily able to draw clients looking for a highly skilled stylist. They used to park across the road and wander into the salon from the old TTC parking lot where the Village of Yorkville Park now sits. 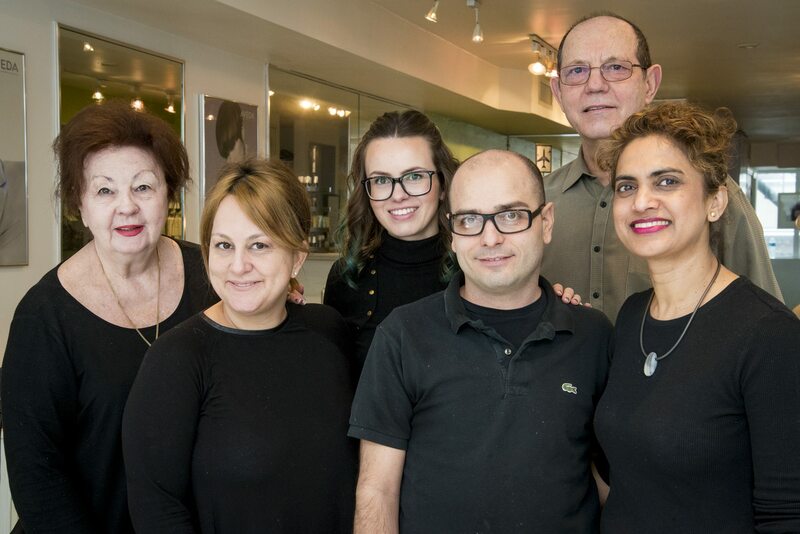 The Salon Staff, with Barbara and Chiara on the left. Photo courtesy of Paul Pecorella Salon. Paul has been cutting hair for about 60 years. He’s semi-retired, and his daughter, Chiara, has taken over running the business, but you can still find the whole family at the salon most days. It’s their second home. 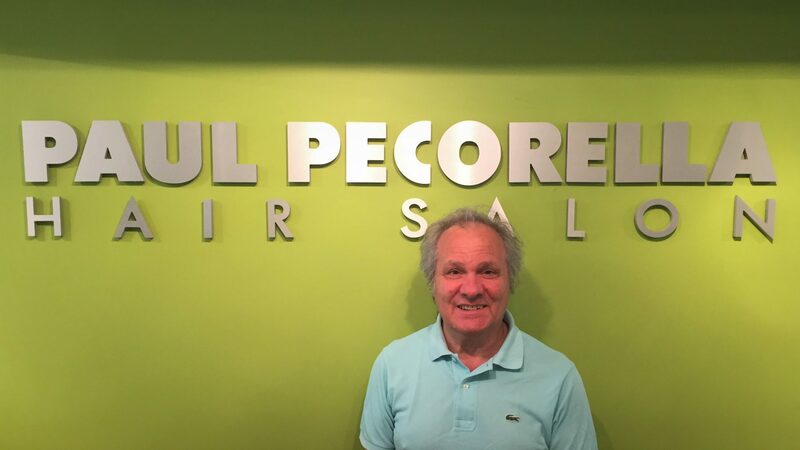 Family means a lot to the Pecorella clan: Paul says he feels proud that their salon has survived and flourished for so long. He says that it’s been tough work sometimes, but with the support of the hard work of his wife and daughter, they’ve made it. What do they think of Yorkville now, after so many years? “All the hairdressers want to be in this area,” Paul says. It’s a fashion area—once you work in Yorkville, you don’t want to be anywhere else. There are now so many salons in the area that competition is tough. Yet for Paul, even though styles have constantly changed, the recipe for success is still as simple as the old days: please your clients. Paul stands proudly in front of the entrance sign. Photo by Ben Coleman. A major milestone is coming up: in March 2018, the Pecorella Hair Salon & Spa will have been at its most recent location, at 106 Cumberland, for 25 years. 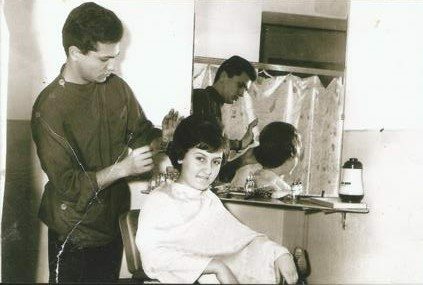 The salon itself has been in business on Cumberland for 35 years. There are a lot of memories to celebrate: the many movie stars that Paul styled during TIFF and nearby film shoots, and the now-gone places in Yorkville where the family used to hang out: Cakemaster, the Coffee Mill, and Meyer’s Deli. Hopefully, the family’s warm presence in Bloor-Yorkville will keep going for decades to come. 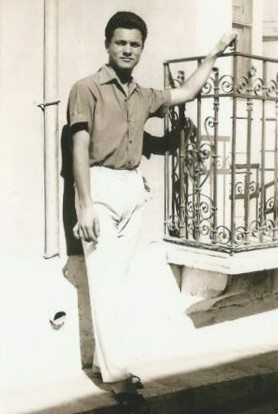 Paul as a young man. Chiara and her husband Louie at a fashion show at Holt Renfrew. 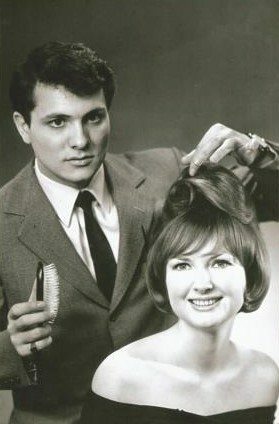 Paul styling a client back in the day. Paul cutting a customer’s hair. Story by Ben Coleman. Cover photo courtesy of Paul Pecorella Salon.